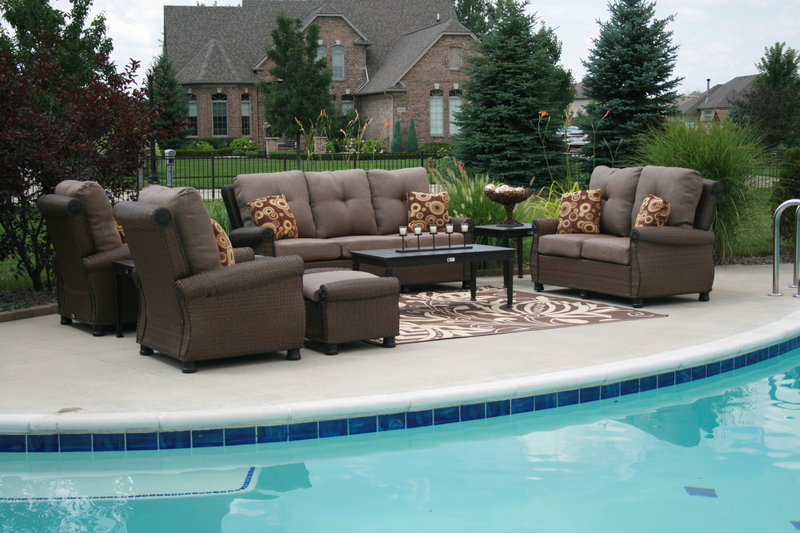 Tired of constantly running out to take the patio cushions inside and out dependent on the weather? Aluminum Sling style patio furniture material is the stylish fix to this long-term dilemma. One more problem still exists, you’re lying on your patio chaise lounge and that bar underneath pressing into your back? Aluminum Sling patio furniture is manufactured with only outer frames. Sling patio furniture references the material being taut between the outer frames of the furniture. This type of construction eliminates the need for additional support slats which might cause discomfort for someone sitting in a lounge patio chair or sun tanning in the chaise by the pool. Sling material is most often quick drying and weather resistant. 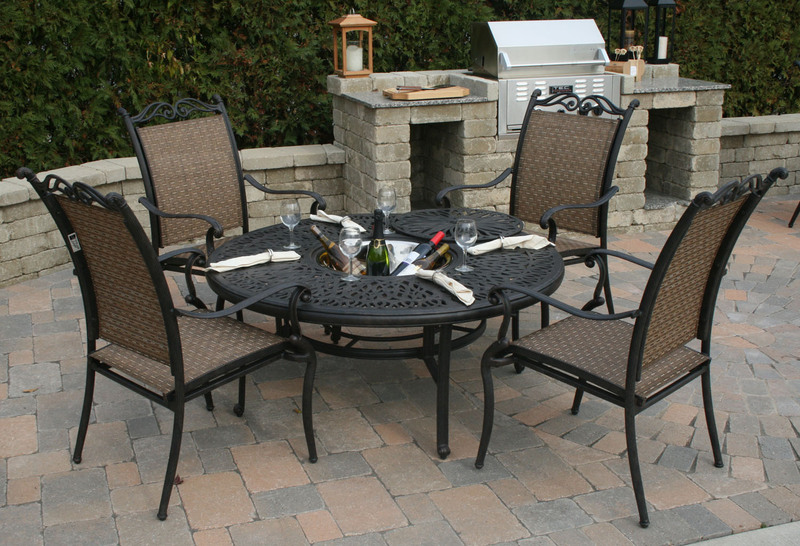 Open Air Lifestyles, LLC has a great selection of patio furniture , including aluminum sling patio furniture to help you create the perfect outdoor living and lounging area so you can enjoy time with family and friends. You’ll save money too with manufacturer-direct wholesale prices. « What Sets Us Apart.